Taka-ma-ga-hara is the dwelling of the Kamigami. 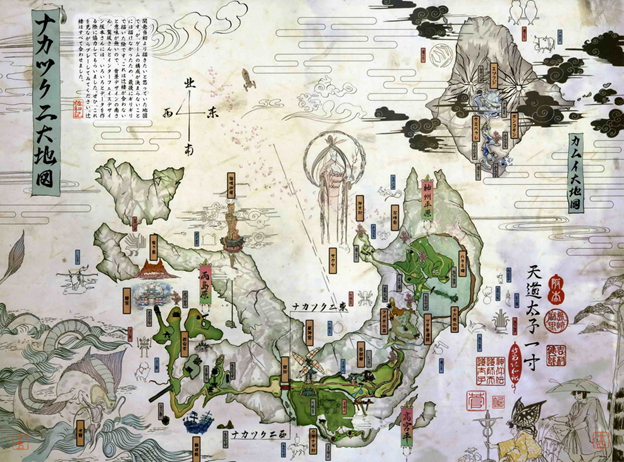 Originally, Taka-ma-ga-hara was the home of the Kigen (the Greater Gods), but when the Kamigami's numbers grew to almost eight million, they opened the land up and left it in the hands of the Kamigami, so that there would no longer be any violent clashes between the Kamigami and the Ayakashi. It is unknown where the Kigen currently reside.